← VVS is Dead. Long Live Horizon. 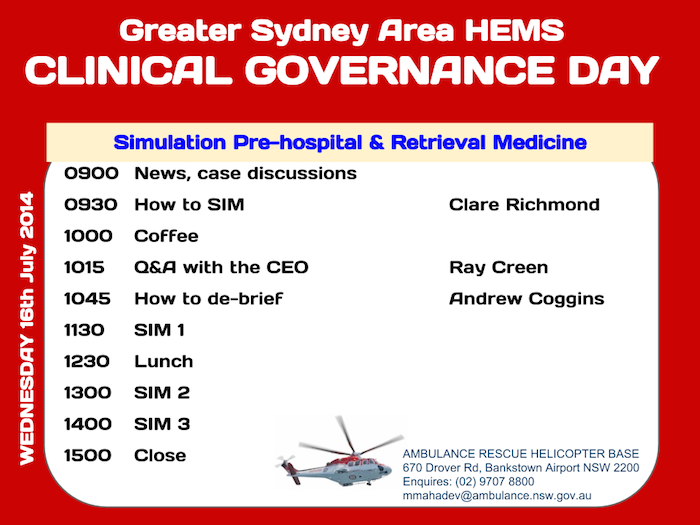 Here is the program for 16th July 2014, when we’ll have simulation experts Andrew Coggins and Clare Richmond – both emergency and retrieval physicians with extensive simulation experience – taking us through our paces on how to sim. This entry was posted in simulation, training and tagged CGD. Bookmark the permalink.